Salt & Light Ministries, is a Christian, para-church organization in Ghana. The Ministry aims at motivating, inspiring and encouraging people to live an effective, productive and practical Christian lives. The Ministry has been a useful resource to churches and other Christian organizations. To motivate, inspire and encourage people to live effective and productive Christian lives.To assist Christians to discern God’s purpose and will for them and their generations. To assist Christians to discover, nurture and apply their spiritual gifts to everyday situations. To motivate and inspire Christians to proactively bring Biblical principles and values to bear on social, political and economic activities. Joyce Rosalind Aryee is a former Minister of State in Ghana. She is also a Management & Communication Consultant and a Professional Counsellor. She is currently the Executive Director of Salt and Light Ministries. She is also the former Chief Executive Officer of The Ghana Chamber of Mines and the first woman to head an African Chamber of Mines. Joyce draws her experience from over 40 years of service to the nation, dealing with a wide range of issues including environmental protection and public relations. Ms. Joyce Aryee was awarded Companion of the Order of the Volta, Ghana (CV) by His Excellency the President of the Republic of Ghana in 2006. She is also recipient of the CIMG Marketing Woman of the year 2007 award. On recognition of her immense contributions to the mining industry, an honorary doctorate degree was conferred on Ms. Aryee in July 2009 by the University of Mines & Technology (UMaT). 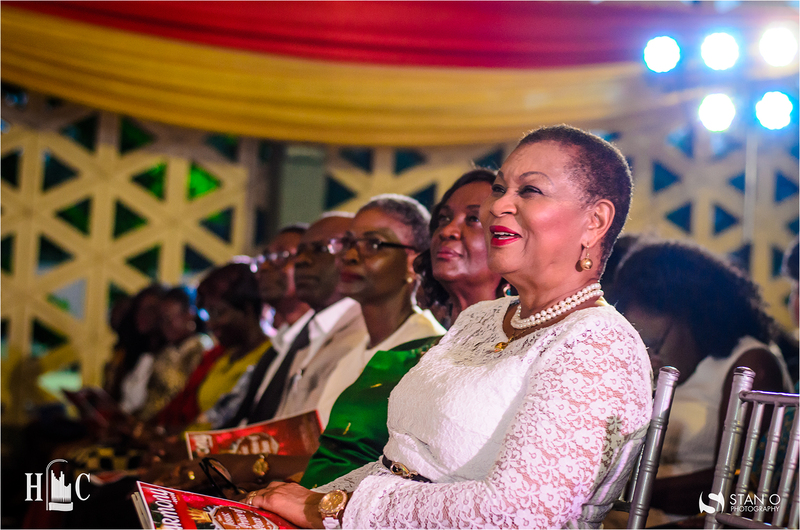 Dr. Joyce Aryee emerged as the award winner of the African Female Business Leader of the Year 2009 by the African Leadership on Centre for Economic and Leadership Development. She was inducted as an Honorary Fellow of the Ghana Institute of Engineers in March 2010, the Chartered Institute of Financial and Investment Analyst in September 2011 and the Graduate school of Governance and Leadership in October 2011. 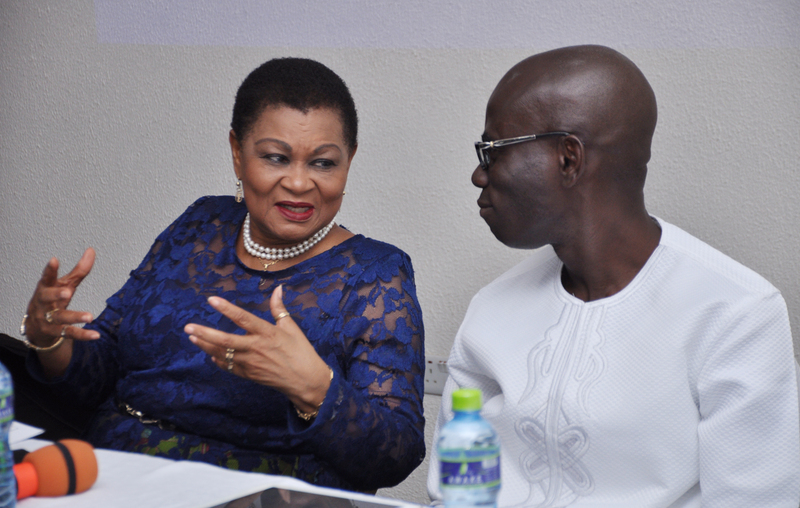 Dr. Aryee was also honoured in mining and public service at the maiden edition of the Women in Excellence award in 2011. The American Biographical Institute (ABI)has nominated Auntie Joyce the “2011 Woman of the Year”. She also received the Inspirational Woman Award at the Ghana UK Based Achievement (GUBA) Awards 2015 for creating change, paving the way for women as well as being the first female to head an African Chamber of Mines. She received an award as the Public Relations Personality of the Year 2014 by the Institute of Public Relations Ghana. She has been named in the list of 100 Global Inspiration Women in Mining in the world. Dr. Aryee is an experienced scriptwriter and a graduate of the University of Ghana, Ghana’s foremost university. She also holds a Post Graduate certificate in Public Administration from Ghana Institute of Management and Public Administration (GIMPA). She is a professional with a versatile range of qualifications and a rich mix of personal skills. Her abilities are primarily in the fields of environmental management, public relations and the complete development of the human being. She is also a trainer in Leadership Skills. As a talented PR Executive, she worked with Ghana’s two main environmental and standard regulatory bodies in the late 70s and the early 80s and participated in international conferences on behalf of these bodies. She is a Fellow of the Institute of Public Relations and has resourced several leadership and skill development programmes, both locally and internationally. She was the editor of an educational magazine and a contributing editor of a leading Ghanaian Business publication. From 1983 to 1991, Joyce R. Aryee served as a Minister in the government of the PNDC as Secretary for Information and later Education. She was also involved in the democratization process as a non-cabinet minister at the National Commission for Democracy where she served, as well as the Personal Assistant to the Chairman of the Commission. Her times of service at these ministries and other institutions resulted in tremendous growth and stability in these sectors of the Ghanaian economy. 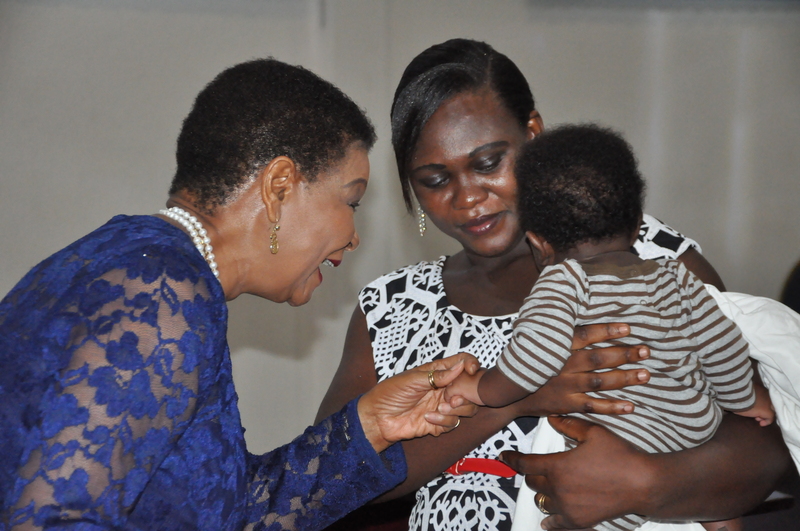 Dr. Joyce Rosalind Aryee led several Government delegations to International Conferences including the Conference of Non-Aligned Ministers of Education and the UNESCO as well as the United Nations Conference on Women in Nairobi. 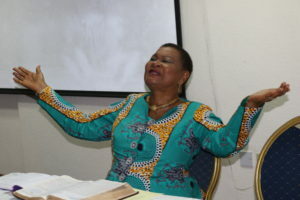 She is the Founder and Executive Director of Salt & Light Ministries, a Christian, para-church organization in Ghana. The Ministry, whose modus operandi includes radio bible study, issuance of motivational letters and evangelism, also exhorts Christians to see themselves as “Salt of the Earth and Light of the World” through various leadership and discipleship training programmes. Auntie Joyce is also a Preacher and Teacher of the Word of God. 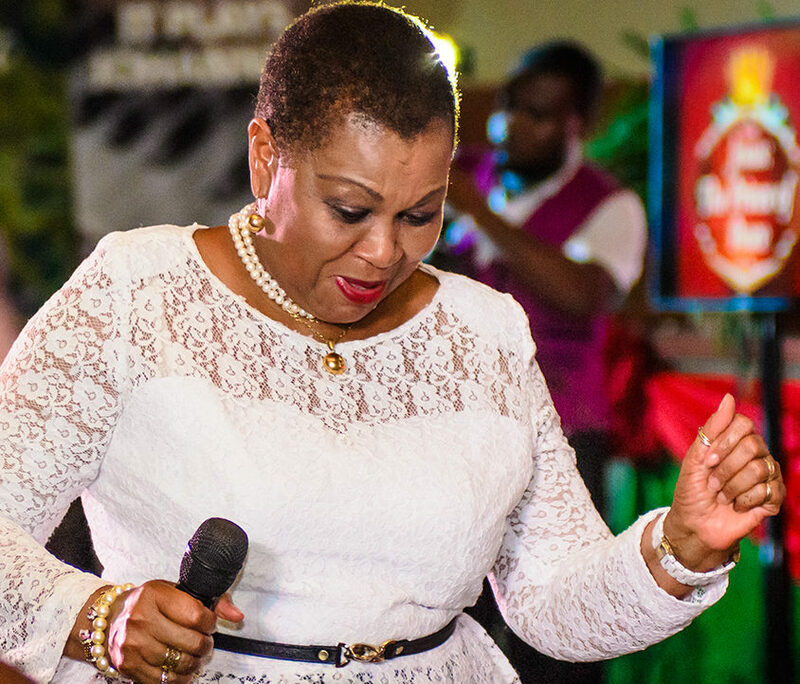 She is the Executive Chairman of Harmonious Chorale and an avid promoter of Ghanaian sacred classical and choral compositions. 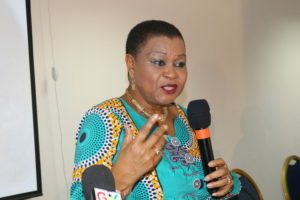 Ms. Joyce Rosalind Aryee is a Senior Mentor for the African Leadership Initiative a leadership formation programme whose vision is to seek to develop the next generation of value-based and community leaders of Africa beginning in Ghana, Tanzania, Kenya, Uganda, Mozambique and South Africa. She also mentors the Moremi Initiative for Women in Leadership for African Development (MILEAD) Foundation. MILEAD is an African Initiative for African women by African women and seeks to advance the opportunities and potential of women and school-age girls to create an inclusive society where they can participate in leadership roles and decision making within all spheres of life. Auntie Joyce, as she is affectionately called, is also a Board member of several youth organizations, such as Databank Universal Economic School (DUES) and speaks at leadership conferences and seminars, including the 3rd Annual African Business Leaders Forum, South Africa in November 2005. Auntie Joyce speaks very good German and French in addition to some of the major Ghanaian languages. Served for many years as Member of the Advisory Council of the Prisons Ministry of Ghana and the Bible Society of Ghana in various capacities including Chairman and 1st Vice President. 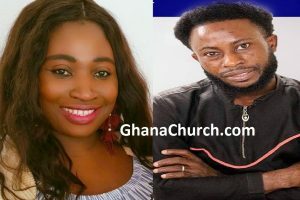 She is currently the President of the Bible Society of Ghana. 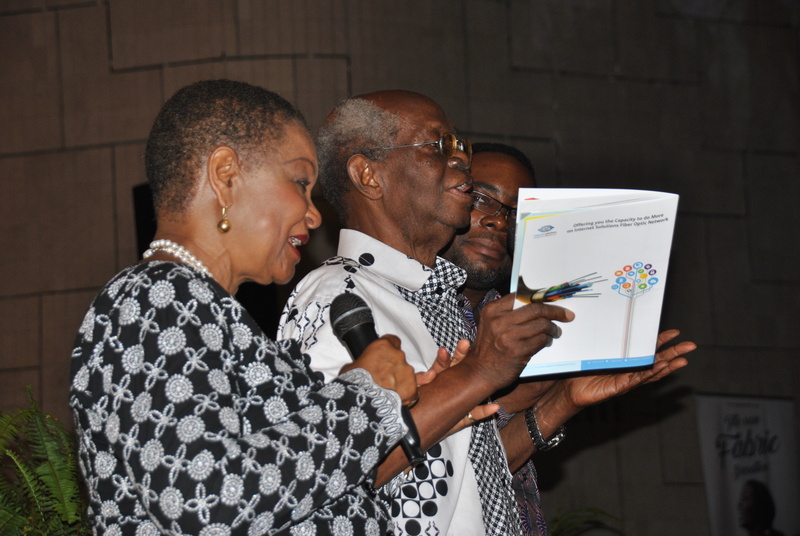 She also served on the Boards of some NGOs, such as George Benneh Foundation and Energy Foundation. She was consulted for some mining companies including Keegan Resources and Pelangio Explorations. She also served on other Boards such as Finatrade Foundation, AEL Mining Services, International Cyanide Management Institute (ICMI) and Stanbic Bank. Auntie Joyce is passionate about the Arts and serves as Executive Chairman of Harmonious Chorale and patron to many other Choirs. As Chief Executive Officer of the Chamber of Mines, Ms. Joyce Rosalind Aryee has participated in several mining related workshops across the world, including as Guest Speaker at the International Women in Mining Conference in Australia in November 2001. Joyce has widely travelled to many countries including Germany, France, Hungary, Austria, Switzerland, United Kingdom, Australia, Singapore, South Korea, Nigeria, Senegal, Burkina Faso, Liberia, India, U.S.A., Cuba, Tanzania, Indonesia, Gabon, South Africa, Zimbabwe, Kenya, Spain and Canada. Endowed with strong leadership and organizational abilities. A firm belief in excellence with an abhorrence of ineptitude, sluggishness and laziness. Address: P.O. Box AN 15007, Accra North.